Ian Schmitz’s job is to build BioSurplus’ inventory of laboratory equipment. The hulking cold storage unit in the corner of a showroom in Watertown is brand new, ready to refrigerate laboratory specimens at a life science company or university, as soon as the packing tape is removed. But high on its right side is a large dent, which is why it sits here at BioSurplus, a sort of Building 19 for science lab equipment. Schmitz’s job is to fill BioSurplus’s 20,000-square-foot facility with items such as the dented refrigerator — equipment that is slightly damaged, but functional, or that comes secondhand from big pharmaceutical companies that are upgrading to the latest models. The fridge — a Thermo Fisher Scientific high-performance blood bank refrigerator, to be exact — normally costs more than $15,000. Here, it’s listed at $7,754. A few aisles over, a Nikon TS100 inverted microscope that retails for more than $7,000 is priced at $2,899. San Diego-based BioSurplus, which sells discount lab equipment like this dry vacuum system (above), opened its first East Coast location just outside Boston last year. The company is based in San Diego and has been in business for more than a decade, with outposts in San Francisco and Incheon, South Korea. Looking to capitalize on the growth of Boston’s life science sector, BioSurplus opened its first East Coast location last year in Charlestown, before deciding to relocate to Watertown. It finished renovating an office building at 57 Water St. in May, replacing cubicles and desks with microscopes, mass spectrometers, and more. 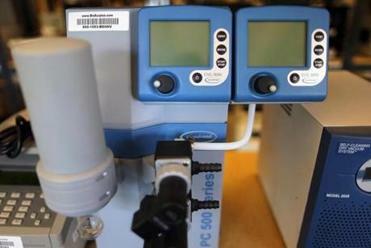 Offering discounts averaging 50 percent, BioSurplus is trying to establish itself as the go-to, affordable equipment supplier of Boston’s biotechnology start-up community. Equipment purchasing is a high hurdle for most early-stage life science companies, which must fill their labs with expensive materials before getting off the ground. 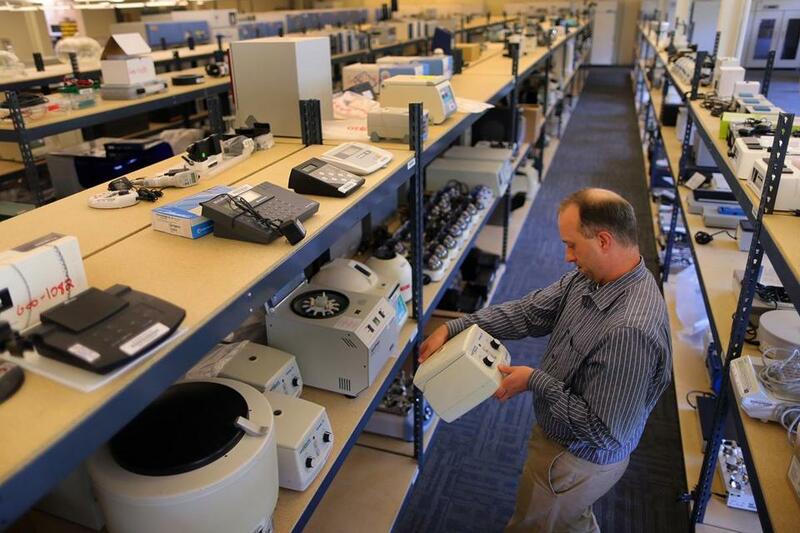 Biotech entrepreneur Johannes Fruehauf recalled spending several months buying lab equipment after founding Cequent Pharmaceuticals in 2006, and said his experience is typical. 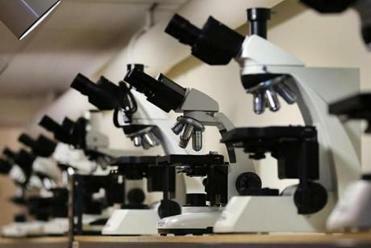 Start-ups can buy used microscopes and other equipment for thousands of dollars less than the price of a new one. BioSurplus aims to help entrepreneurs reduce the cost of launching, but not at the expense of quality. At the back of the Watertown showroom is a repair shop, where technicians test every piece of equipment upon arrival, and again upon purchase. Often, there is little fixing to be done. BioSurplus also helps the large companies from which it buys, allowing them to make some money while unloading old equipment that might otherwise be trashed. In most cases, BioSurplus buys equipment outright, but it also takes pieces on consignment. This month, BioSurplus is advertising new batches of inventory from Waltham-based manufacturer Thermo Fisher, San Diego biotech Ceregene, and the Aderans Research Institute in Marietta, Ga., which is known for hair restoration. The arrivals include incubators, centrifuges, microplate readers, spectrophotometers, and biosafety cabinets. Several microscopes made by VWR International of Radnor, Pa., sit unopened in their original boxes — relegated to BioSurplus simply because the manufacturer needed to clear space for this year’s model.